The Jim Henson Company will host the Center for Puppetry Arts' fundraiser Puppets for Puppetry, a night of special and surprise performances celebrating all kinds of puppetry honoring Caroll Spinney. The Center for Puppetry Arts proudly presents its second Puppets for Puppetry fundraising event on Saturday, May 5, 2018. The dinner and show will be hosted by The Jim Henson Company on its historic Hollywood lot and presented with support from Sesame Workshop. 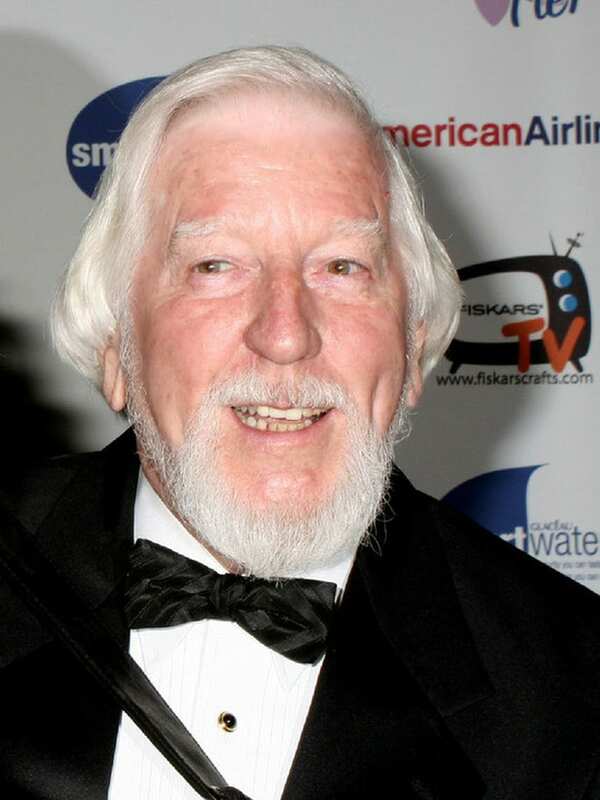 This year's event honors the beloved puppeteer Caroll Spinney, best known to fans around the world as the performer of the iconic Sesame Street characters Big Bird and Oscar the Grouch. The evening will be hosted again by Broadway's John Tartaglia (Avenue Q, Beauty and the Beast, Shrek) with additional special guests (human, feathered, and furry) to be announced soon. The mission of the Center for Puppetry Arts is to inspire imagination, education, and community through the global art of puppetry. This Atlanta-based nonprofit is the nation's only resource of its kind, featuring an international puppetry collection, a vibrant theatre space, and workshops and performances that develop puppetry talent; it also houses more than 500 puppets and props donated by the family of Jim Henson and The Jim Henson Company in its permanent exhibit, The Jim Henson Collection. The Center's educational programs serve schools nationwide, complementing national curriculum standards in language arts, social studies, science, math, and other areas. In the Center's most recently-completed fiscal year, visitors came from all 50 states. The Center's Distance Learning program has also reached all 50 states and nine countries with live and interactive workshops and performances, delivered through videoconferencing. "The Center for Puppetry Arts is grateful for the support of The Jim Henson Company and Sesame Workshop through the Puppets for Puppetry fundraiser. 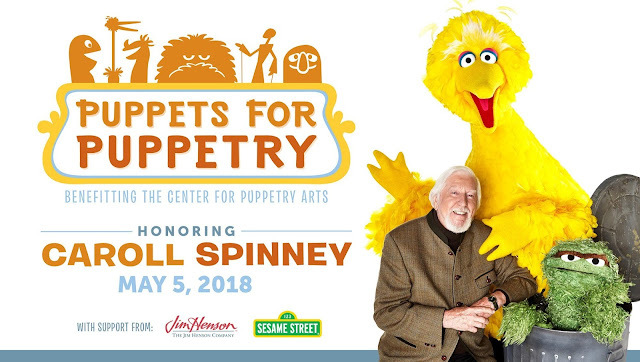 I'm thrilled that this year's honoree is Caroll Spinney, a dear friend both to me and the Center," said Vincent Anthony, The Barbara and Bill Wylly Executive Director at the Center for Puppetry Arts. "It is a privilege for us to honor such a talented puppeteer. Caroll's exceptional legacy and the creative team behind this show are sure to make for a spectacular evening!" Individual tickets start at $250, with tables and sponsorship packages beginning at $7,500. Special pricing is available for members of the Center for Puppetry Arts and Puppeteers of America. ⏩ For additional information please visit: puppetsforpuppetry.com. The Center for Puppetry Arts is supported in part by: Fulton County Arts Council • City of Atlanta Mayor's Office of Cultural Affairs • Georgia Council for the Arts • The Jim Henson Company. ⏩ For a complete list of the Center's major supporters, visit puppet.org/about/sponsors. Center for Puppetry Arts is a unique cultural treasure – a magical place where children and adults are educated, enlightened, and entertained. Since 1978, the Center has introduced millions of visitors to the wonder and art of puppetry and has touched the lives of many through enchanting performances, curriculum-based workshops, and the hands-on Museum as well as Distance Learning and Outreach programs. Center for Puppetry Arts is a non-profit, 501(c)(3) organization and is supported in part by contributions from corporations, foundations, government agencies, and individuals. The Center is a member of Theatre for Young Audiences (TYA/USA/ASSITEJ) and also serves as headquarters of UNIMA-USA, the American branch of Union Internationale de la Marionnette, the international puppetry organization.